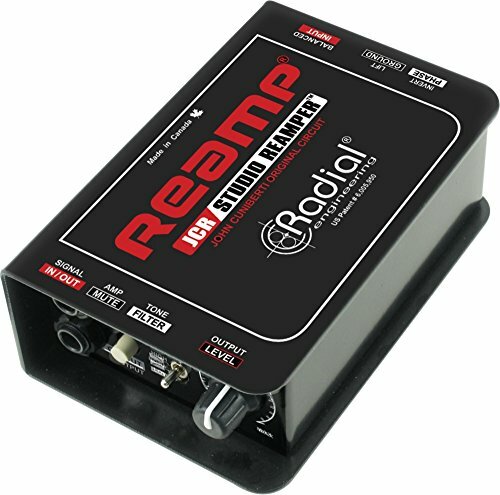 The Radial Reamp JCR is John Cuniberti's original Reamp packaged in a 'Radial tough' steel case. All original components including the same high performance audio transformer are there. Since 1994-when recording engineer John Cuniberti designed and built the original prototype-the Reamp has helped artists and engineers expand their creative scope. Easily interface your studio equipment with guitar amps and stomp boxes. Record a dry guitar, then reamp later for infinite possibilities. The only limit is your imagination!